Sign up for Broadjam today to follow Howard Forman, and be notified when they upload new stuff or update their news! 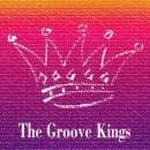 The Groove Kings first album scored top 20 with "Everybody Knows". 2nd effort by the Groove Kings. Four top 40 & top 20 hits in Canada.